today i’m show you my personal Banana Walnut Choclat chip Bread, this breadcome in all varieties. Popular recipes result in textures ranging from moist to cakey. Personally, I like banana nut bread with some choclate/ whitechoclate chips inside, it gives a great taste. Start by preparing a loaf pan by buttering the bottom and sides. Lightly flour the pan and tap out the excess flour. The loaf pan should be around 5 in. by 9 in. in size – a little larger or smaller isn’t a problem. 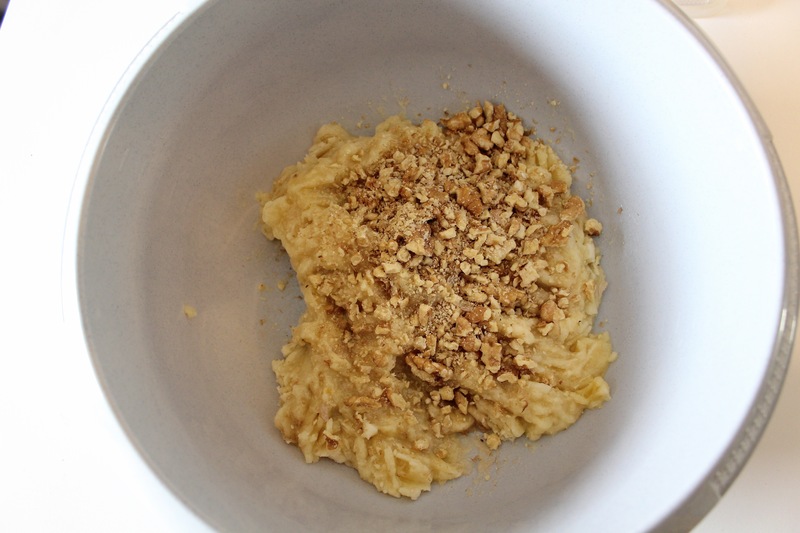 2. put the chopped walnuts into the mixture. 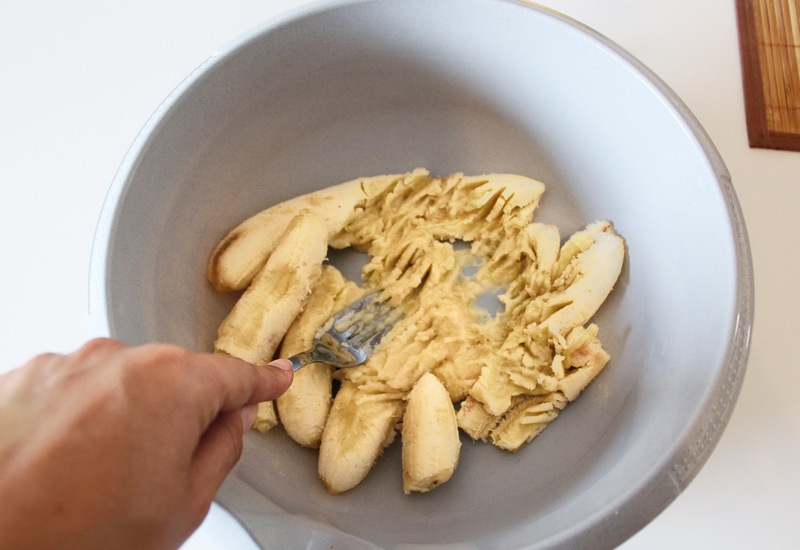 3. now you need to add the remaining ingredients,melted butter, vanilla extract eggs, sugar, flour, baking powder and mix everything until its smooth. 4.at the end you have to add the choclate chips if you like a choclate taste you should better use 1 cup and not half, I personally use 1 full cup of choclate chips. 6. when the cake is ready let the loaf pan cool down for about 10 min than put it out to a wire rack to cool down more. 7. I you like choclate, melt a piece of dark choclate and decorate the cake with it, like me. This looks de-lish! I don’t bake anymore..but this is tempting!